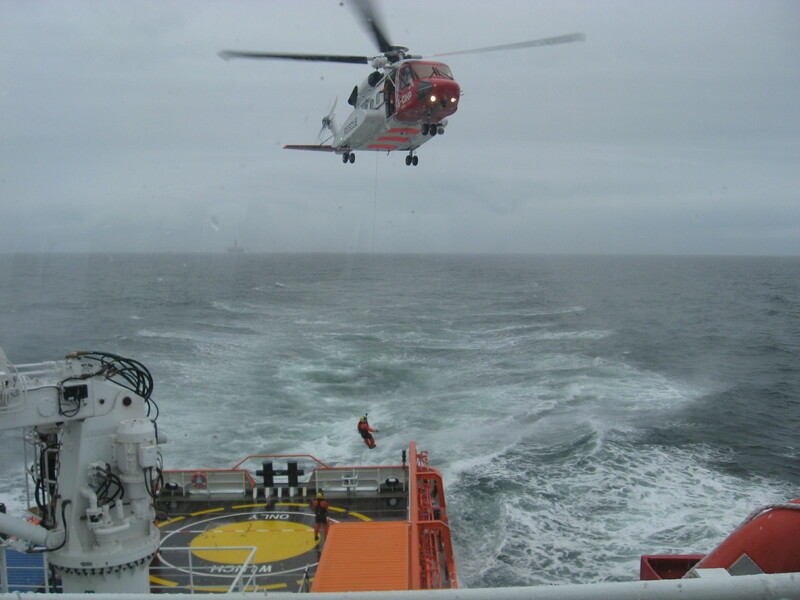 On the 23rd December, deep in the South Atlantic, Fastnet Sentinel crew took part in a joint exercise with the Falkland Island SAR helicopter, Bristow G-CIHP. With the ship’s emergency teams prepared, two crewmen from G-CIHP were winched to the aft deck winch area onboard Fastnet Sentinel while the ship maintained steady course and speed. The exercise completed without incident and for the ship’s crew this was an opportunity to put to use some of the training that Emergency Response and Rescue Vessel (ERRV) crews conduct on daily bases, and in this case, to deploy and demonstrate equipment and skills normally confined to a theoretical exercise.